The scope of the workshop was to discuss the functionality and focus of the web-based platform before the launch of a beta version in July 2018 at the United Nations High-Level Political Forum on sustainable development. That is, how can the UNDP-RISE SDG TrendScanner platform be used to identify and understand disruptive trends so that they can be used to deliver on the 17 global Sustainable Development Goals (SDGs), set by the United Nations? 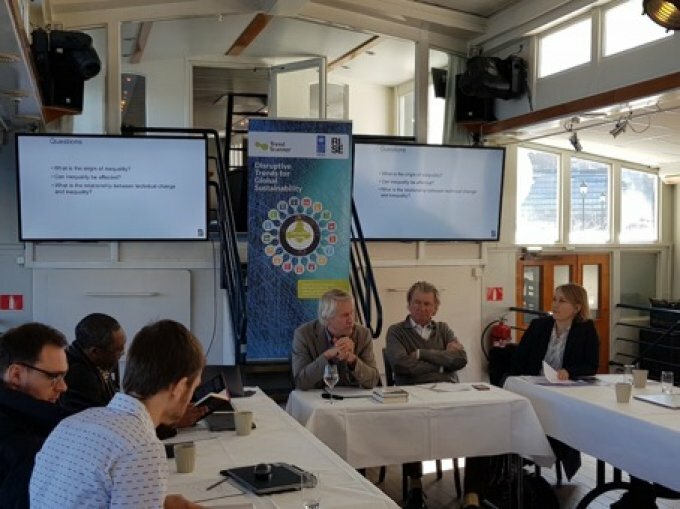 The workshop also included a presentation on Inequality and technical change, by Per Molander and a high-level conversation featuring Per Molander, Ulrika Modéer, and Anders Wijkman.